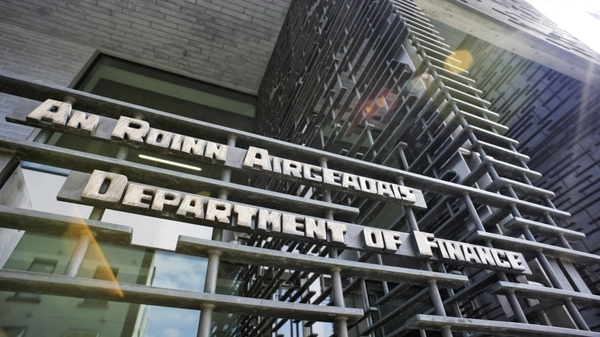 The Government is close to finalising its four-year fiscal plan, Taoiseach Brian Cowen has said. Pending its approval at Cabinet level, the Government hopes to publish the plan next week. 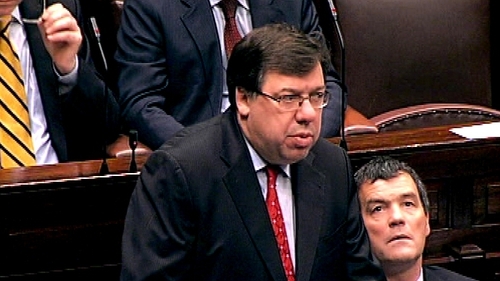 Speaking in the Dáil, Taoiseach Brian Cowen restated the Government's position, saying that since 2008 they had taken significant steps to stabilise the country. He said the public finances are under control and said that further measures are required to stabilise the economy. Mr Cowen told the Dáil that €15bn in adjustments must be made before 2014 and that budgetary consolidation was crucial. He said the bonds were a concern, but he said Ireland is fully funded to the middle of next year. Mr Cowen said the Government had made sure deposits were safeguarded. He said this was an overarching objective of the Government. He reiterated that Ireland is not seeking financial assistance from the EU, and he said no application had been made. He said discussions are ongoing to find a workable solution to the current borrowing problems. The leaders of the Opposition also made statements in the Dáil on Ireland's financial stability. Fine Gael leader Enda Kenny said Ireland was on the front pages of newspapers around the world for all the wrong reasons. Mr Kenny said the markets had not lost faith in the Irish people, but they had lost faith in the Government. Labour leader Eamon Gilmore said he believes the country's best days are ahead, but there is no sense that anyone is in charge. Mr Gilmore said he wondered why the Taoiseach made his statement at all, since it added no clarity. He said the one thing the Taoiseach could do to stabilise the markets would be to resign and have a General Election. Sinn Féin's Arthur Morgan accused the Government of hiding behind words. Mr Morgan said the 'bluffing and fibbing' was the reason why the markets or the people had no confidence in the Government. The parties made their statements during the discussion entitled: 'Statements on financial stability development in Ireland and elsewhere'. Earlier, Fine Gael leader Enda Kenny accused the Taoiseach of betraying the country in what he claimed had been the most 'shambolic' mismanagement of our affairs in the history of the State. Speaking during Leaders' Questions and ahead of Dáil statements on the economy, he launched an impassioned attack on the Government, saying its incompetence had paralysed the people. Mr Kenny said the Government had politically betrayed the country and other EU countries. In response, Mr Cowen said the Government has done all it can to deal with the situation and it is working with EU partners and institutions. The Taoiseach said he did not accept that the Government had acted other than in the interests of the country. Labour leader Eamon Gilmore said there was an obligation for Mr Cowen to level with the people as to whether assistance for the State and the banks is on the cards. He asked exactly what contacts had been made with Europe, and to what end, and criticised the Government for failing to stop the rumour mill. The Taoiseach insisted the Government had been operating in the interests of the country, and with the approval of EU institutions.